Want to renew your subscription online? All you need is your subscriber account number. 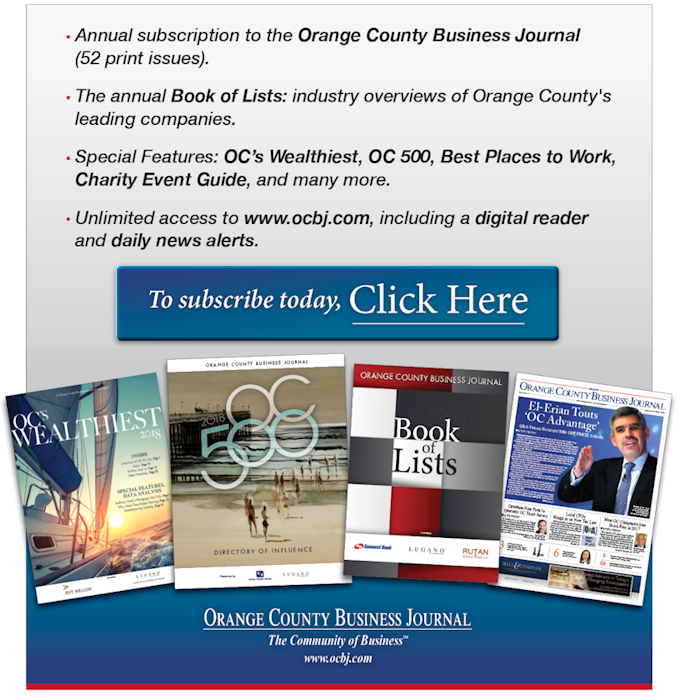 Don't miss a single issue of the Orange County Business Journal. Renew your subscription online. It's fast, easy and convenient. If you want to find out how long you have before your subscription expires or if you want to make sure that your subscription has been renewed, click here. Our subscription verification feature gives you all of this information right on the web. Whether you want to pay an invoice for the Orange County Business Journal or check to see if we have processed your payment, click here. It will give you an up-to-date status on your account. For other subscription related inquiries, please click HERE for our Customer Care Center.